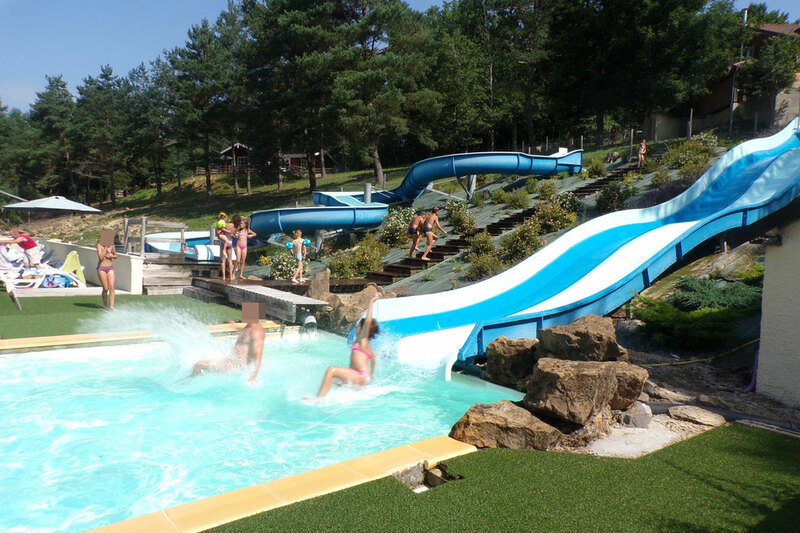 WELCOME TO CAMPING "Les Trois Sources"
Les Trois Sources, a 4 **** campsite, located near the gorges of the Cère and near the most famous tourist attractions of the Lot and the Périgord welcomes you in an oasis of nature and calm. The campsite has a nice aquatic park with a heated pool, a children's pool and a double slide. In high season entertainments are planned. the Dordogne River. In the lake can be fished. If you do not feel like cooking then the camping offers a snack bar / frying. On site you can buy daily fresh bread and pastries. There is also a grocery store offering a small assortment. luxury bungalows, 16 chalets and 31 caravans. In 2019 campsite is open from 27th april till 7th september. Pets are are allowed on a leash. This is a vast area to explore on foot, bicycle or by canoe and kayak. Plum, nuts, foie gras, lamb from Suercy, the cabecou, the cahors wine : Indulge yourself !